Reel Talk Online: First Look: "Pirates of the Caribbean: On Stranger Tides"
First Look: "Pirates of the Caribbean: On Stranger Tides"
In the fourth installment of the megafranchise Pirates of the Caribbean, Captain Jack Sparrow (Johnny Depp) finds himself face to face with the ruthless pirate Blackbeard (Ian McShane) and past love Angelica (Penelope Cruz), who lures him aboard Blackbeard's ship Queen Anne's Revenge in search of the fountain of youth. 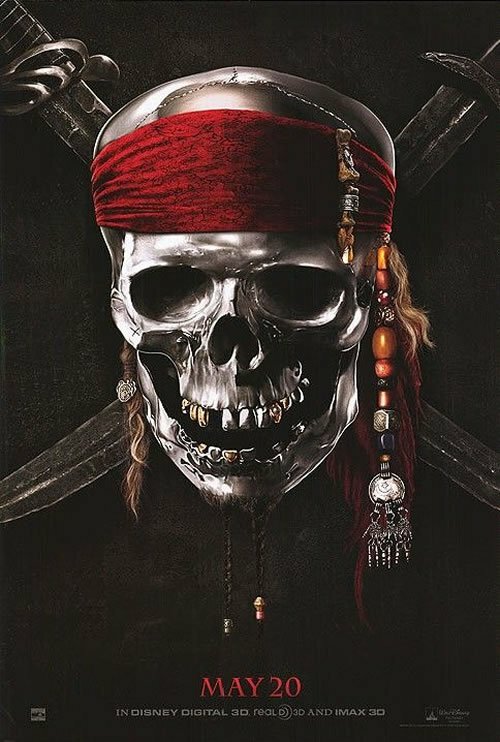 When things start going awry, Captain Sparrow learns that he and the mysterious Angelica aren't the only ones after the fountain of youth and that the only person he can trust is himself. Pirates of the Caribbean: On Stranger Tides hits theaters May 20, 2011 Check out the exclusive new trailer below. Mermaids and especially zombies kill it for me. And why would Rob Marshll direct it? I'd prefer to see Verbinski as the director again. Depp? Cruz? McShane? I think this one's better than the previous sequel. I'm a fan of franchise but I already miss Keira Knightley and Orlando Bloom. The first one was the best!